Versatile skin protection product for sensitive skin exposed to changing, not clearly defined dermatological stress. Stokoder Grip PURE contains an active ingredient combination of an astringent active ingredient, surfactants and emollients. 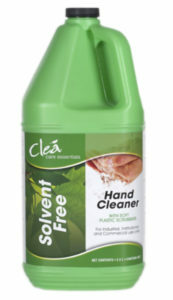 The product is effective against both oilbased, and water-based materials. Stokoder Grip PURE was specially developed for particularly sensitive skin and is perfume-free, dye-free and preservative-free. Use of water-soluble and water-insoluble materials and/or activities in changing work areas. Not clearly defined and unspecific skin risks. 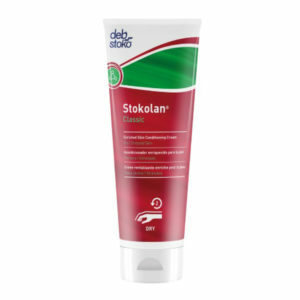 Stokoder Grip PURE sensitive can also be applied under gloves.